It seems that the record industry is so far removed from what it has traditionally been that U2 – one of the biggest bands ever and 18th on the all-time record sales list (according to Wikipedia), now see fit to give away their album for free. For U2, it’s not record sales that will drive the huge business engine that is U2 inc, it’s concerts and tours. So why give an album away for free when it’s the first album in 5 years? There are plenty of people willing to pay to buy U2’s latest offering so giving it away for free is either hugely charitable or hugely stupid... In fact, it’s neither – it’s hugely smart. They are not getting any younger and in an attempt to re-grow their ageing audience, they have let Apple download this album to not just my phone, but to HALF A BILLION iTunes accounts. That’s a lot of potential new fans who will buy some of the extensive U2 back collection, buy a concert ticket or pay a fortune for U2 merchandise. 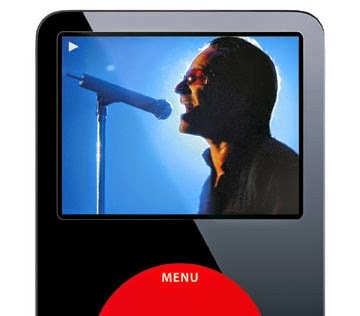 Secondly, Bono and co are also being paid by Apple (they were given an unreported lump sum to allow Apple to do this). What’s the betting that this covers off a few million paid downloads of the album. Lastly, the album is only available for ‘free’ until the 13th October. After that, you’ll have to pay to download it or go and visit a record store, of which there are precious few still around, and buy a cd. So what did Apple get out of it? Well, all press is good press right – even the sweary words? Coinciding with their launch of the iPhone 6 and the AppleWatch, it might give some people a reason to go and buy one of these products and a further advert for their iTunes offering. Apple also have to fend off music streaming services like Spotify to keep their iTunes revenues intact. They clearly thought signing up a band like U2 would help. Steve Jobs was reportedly a huge fan of the band and they have collaborated before on a signed iPod. This is clearly not something they can do too often. From a revenue generation point of view, companies try and protect the price people are willing to pay for their products for as long as they have an advantage. As new entrants come into the space and gain traction, it’s about offering up differentiators to justify why people should stick with you (and potentially your higher price) – and in this case, Apple felt justified at offering something for nothing. It also isn't the first time bands have turned to free downloads to promote their wares. In 2007, Radiohead released their album, "In Rainbows," directly from their own website, available to anyone as a digital download. Not quite offered free, the band asked people to "Pay what you want." Most downloaders paid nothing - but when the album was released in physical form two months later, it was a worldwide number-one hit. Madness? No, clever. I wondered from a Procurement standpoint, how you would react if your suppliers gave you goods/services for free. Would it ‘devalue’ their offering, would you be suspicious of what’s in it for them or would you maximise the free elements until they turn the tap off? 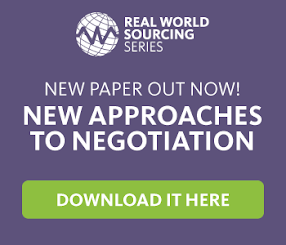 Has any supplier surprised you with a ‘free offering’? Did it work out that way in the end?